A dainty pair of 9ct yellow gold stud earrings claw set with brilliant round cut diamonds and central trillion cut pink Morganite gemstones. Discover the feminine pink hues of Morganite. 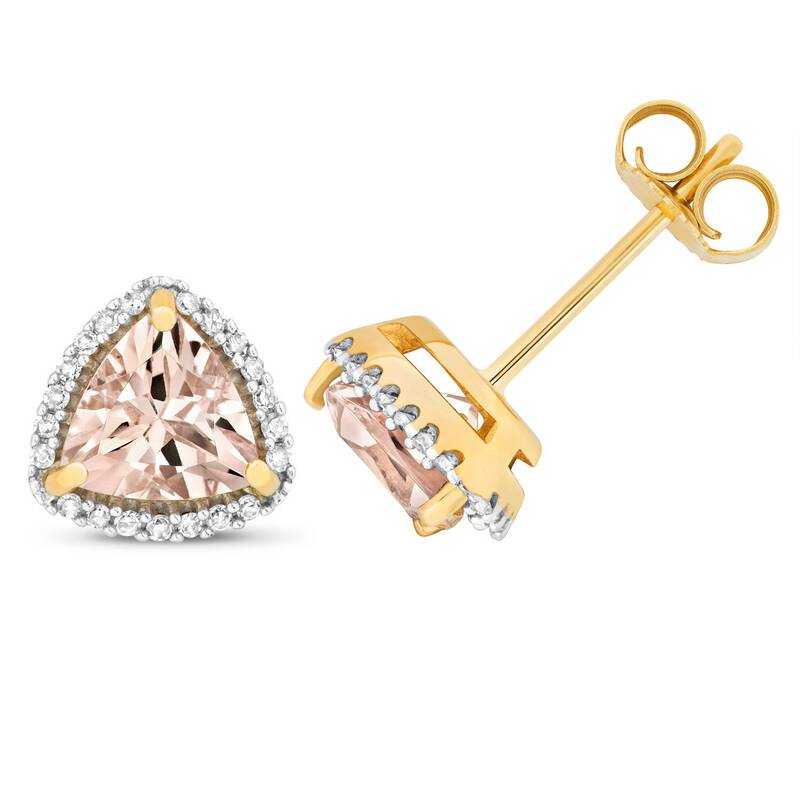 Paired with gold, this pretty pink gemstone offers contemporary modern style and elegant beauty. Morganite size 6x6mm. Post and butterfly fastening.